The so-called “Arab Spring” – a term invented in the corridors of Western capitals, has resulted not in greater democracy and individual liberties across the Middle East, but in the political and military ascendancy of radical Islamist groups from North Africa to the Levant. It would shock most Americans to know that Washington has aided, and is currently aiding, radical Islamic groups that are indistinguishable from Al-Qaeda throughout the course of these revolutions. This occurred openly and most directly in Libya, and is now occurring clandestinely in Syria. Throughout the course of the American-led NATO intervention against Gadhafi, there was a steady stream of jihadi fighters returning to Libya from the battlefields of Iraq and Afghanistan where they had waged a guerilla insurgency against American and allied forces. These extremists had been unwelcomed and actively persecuted in Gadhafi’s Libya, yet were incorporated with ease into the NATO-backed rebel forces of the emerging new Libya. The terrorists of Eastern battlefields became, seemingly overnight, U.S. friends and allies in the fight to topple Gadhafi. 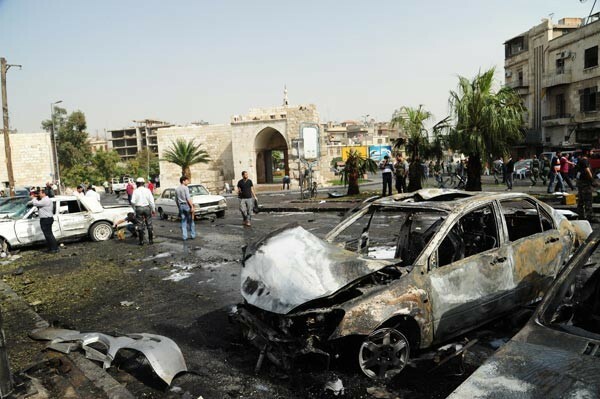 The summer prior to this CNN interview, German intelligence (the BND) estimated that around 90 terrorist attacks had been carried out by Al-Qaeda linked groups in Syria from late December to early July of 2012. This includes suicide bombs, car bombs, and mortar strikes against civilian populated areas and city centers. Americans are, on the whole, unaware of the true nature of the Syrian opposition (and Libyan opposition before) and the Arab Spring in general, because American media, from NBC to CNN to FOX to major and local papers, have uncritically played the part of propaganda tool for the rebel opposition and their advocates in Western governments. Ordinary Americans are kept in ignorance, exposed only to the moralistic clichés and sound bites of self-proclaimed experts and reporters who have typically never spent time in the Middle East, who don’t speak Arabic, or who have never engaged in a serious study of Mid-East history. Those who fit such basic qualifications are excluded from mainstream coverage as real analysis threatens to expose the false narrative.